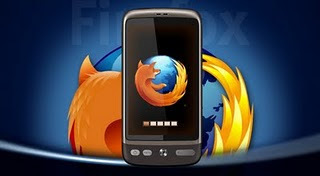 Mozilla, who are renowned for their successful internet browser, are entering the mobile race, developing a new web-centric OS that will directly compete with Google, Apple and Microsoft. If the name Mozilla rings any bells it's because they're the tech boffins who put together Internet Explorer, the browser that Windows defaults to. Mozilla took the leviathan computing company on with its Firefox browser, and today it stands as the second most popular browser worldwide.Now the company who was underdog to Microsoft looks to be playing the same role, but this time against internet mogul Google. Announced on the Mozilla discussion forum, Mozilla have begun coding for phones and tablets. The BBC revealed the mobile operating system will draw on Android code, with Mozilla writing as much fresh code as possible. The hybrid-like operating system will be named Boot To Gecko. It is an unusual name for an OS, until you remember Gecko is the rendering engine employed by the Firefox browser that interprets web page coding and displays it in a screen-friendly format, a homage to its origins. Even though Android coding will form the operating system's foundations, Mozilla hope to add a much more open wrapper around it than Google currently do, making it more versatile as an operating system. Often, when you select a link from an application native to the Android or iOS market, the operating system will have to open a new webpage in the browser. Boot To Gecko aims to limit this by making applications much more web-centric. If the venture proves successful, Mozilla will be waging war against industry giants, with Google, Apple and Microsoft dominating many facets of the technological world. Mozilla have acknowledged the project is in infancy and have chosen to make the development public in hope it will attract talented enthusiast coders who will contribute to the Boot To Gecko's cause. Researcher Andreas Gal, who announced the development, admits the company has set a high target, but wants to do it "the way we think open source should be done. Gal says his ultimate goal is to break "the stranglehold of proprietary technologies over the mobile device world," implicitly referring to the practices of Apple, Windows Phone and Google.